CBSnews.com has another criterion to identify the world’s top companies. It has listed the leading 10 companies in terms of brand value in 2017 as calculated by a brand consultancy agency named Interbrand. 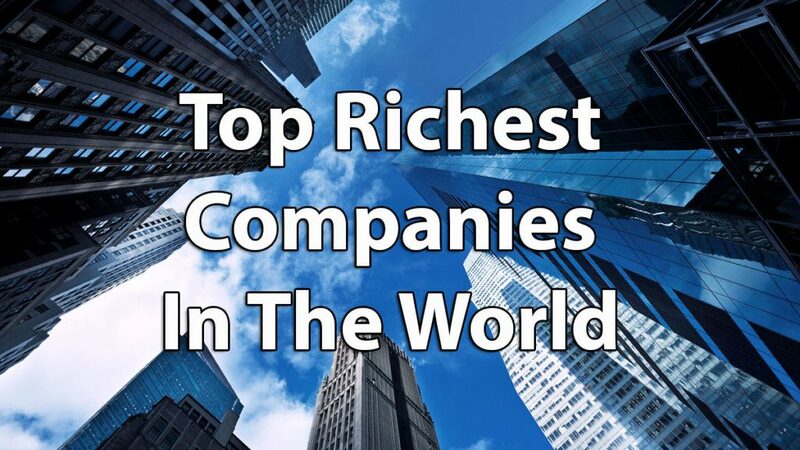 Not surprisingly, this list includes renowned global brands such as IBM, Mercedes-Benz, Facebook, Toyota, and Samsung. 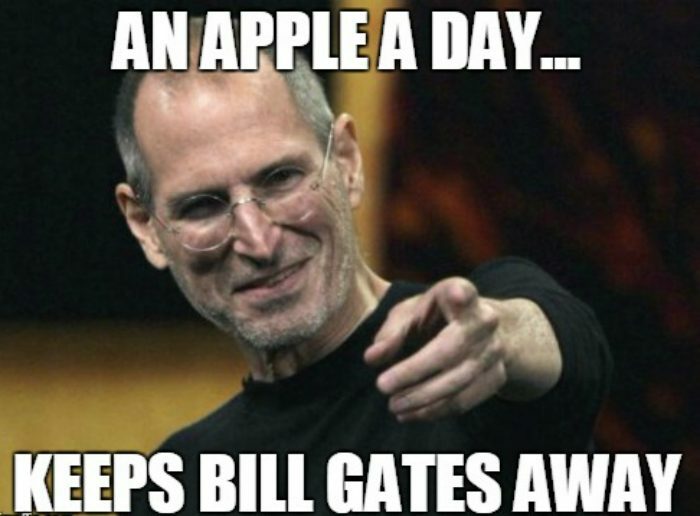 It is topped again by Apple whose brand value is estimated to be an astonishing $184 billion. In this article, we have selected the top 10 richest companies in the world based on their fiscal 2017 revenue. China’s growing financial muscle can be gauged by the fact that three companies from the country find a place in the list which is dominated by players in the oil and gas industry. The topper is Walmart which has added online retail to its huge number of brick-and-mortar hypermarkets in multiple nations. Without much ado, let’s get down to the brass tacks and learn more details about the top 10 richest companies in the world by revenue. ExxonMobile is based in Irving, Texas and was founded in 1870. Its present avatar came about as a result of a merger between Exxon and Mobil in 1999. The company’s subsidiaries include Mobil, Imperial Oil, Exxon Neftegas, Exxon, Exxo Australia, and Aera Energy. It employs more than 77,000 people globally and its current CEO and Chairman is Darren Woods. Apple operates about 478 stores in 17 nations. Its popular products include Mac, Apple TV, Watch OS, and iOS. Apple is the world’s biggest technology enterprise by revenue and assets. It employs more than 110,000 people and is the second largest maker of mobile phones following Samsung. For the future, Apple has planned to focus on boosting its operations in India and entering the automobile sector with an electric model. In 2017, Berkshire Hathway’s market cap of about $488 billion placed it among the top five biggest publicly traded companies in the world. Its main subsidiaries include NetJets, Pampered Chef, FlightSafety International, Long & Foster, Helzberg Diamonds, Lubrizol, BNSF Railway, and Dairy Queen. In addition, the company holds a 2.5% stake in Apple, 9.4% stake in Coca-Cola, 17% stake in American Express, 26.7% in Kraft Heinz, and 38.6% stake in Pilot Flying. Shell was founded in 1907 and is headquartered in The Hague, Netherlands. It employs about 90,000 employees globally. The company’s current CEO is Ben van Beurden. In 2016, Shell spent $53 billion to acquire the BG group to become the world’s largest liquefied natural gas company. The acquisition gave Shell a dominant position in drilling in the prize location of offshore Brazil. Volkwagen is headquartered in Wolfsburg in Germany’s Lower Saxony region. The company makes buses, trucks, and cars, and employs more than 600,000 workers in its factories. Its current CEO is Matthias Muller. In 2015, a diesel scandal affected Volkswagen and the company lost revenue as it had to recall half a million cars. Volkswagen has to shell out $15.3 billion as compensation to purchasers of its impacted diesel cars in the US and in penalties to regulators. Toyota was founded in 1937 and is headquartered in the city of Toyota in Japan’s Aichi region. The company employs more than 348,000 workers. Its current CEO is Akio Toyoda. Toyota is the first automobile company to make more than 12 million units in a year which it has accomplished since 2012. However, recently, it had to recall millions of vehicles twice due to faulty airbags. The company’s future plans include making driverless cars and expanding its presence in the hybrid electric vehicles market. CNPC was founded in 1988 and is headquartered in Beijing. The company’s current general manager is Zhang Jianhua and it employs more than 1.7 million workers. In 2005, CNPC bought Petrol Kazakhstan for $4.18 billion. It currently has oil reserves to produce 3.7 billion barrels. CNPC runs exploration and production ventures in countries such as Venezuela, Iran, Thailand, and Canada. Sinopec Group was founded in 1998 and is headquartered in Beijing. Apart from exploration and production, they produce lubricants, fuels, and petrochemicals for the Chinese market. The company’s current chair is Su Shulin and CEO Wang Yupu. It employs more than 810,000 workers. Sinopec Group’s main subsidiary China Petroleum and Chemicals Corporation Limited (Sinopec Limited) trades in the Shanghai, London, New York, and Hong Kong stock markets. Together with CNPC, Sinopec Group spent $120 billion in acquisitions between 2009 and 2013. State Grid was founded in 2002 and is headquartered in Xicheng District in Beijing. It employs more than 1.9 million workers and services over 1.1 billion customers. The firm exports its products to Italy, the Philippines, Australia, and Brazil. This company also recently faced a scandal as a few senior officials were alleged to have taken graft. As part of its future plans, State Grid plans to invest $11 billion dollars in Sarawak, Malaysia. Walmart also owns Asda in the UK and employs more than 2.3 million workers globally including 1.5 million in the U S. Recently, the enterprise rewarded more than 200,000 employees with promotions and higher pay. It plans to invest more than $2.3 billion in better wages, education, and training to provide greater opportunities and rewards to its employees. Walmar is currently headed by CEO Doug McMillon.